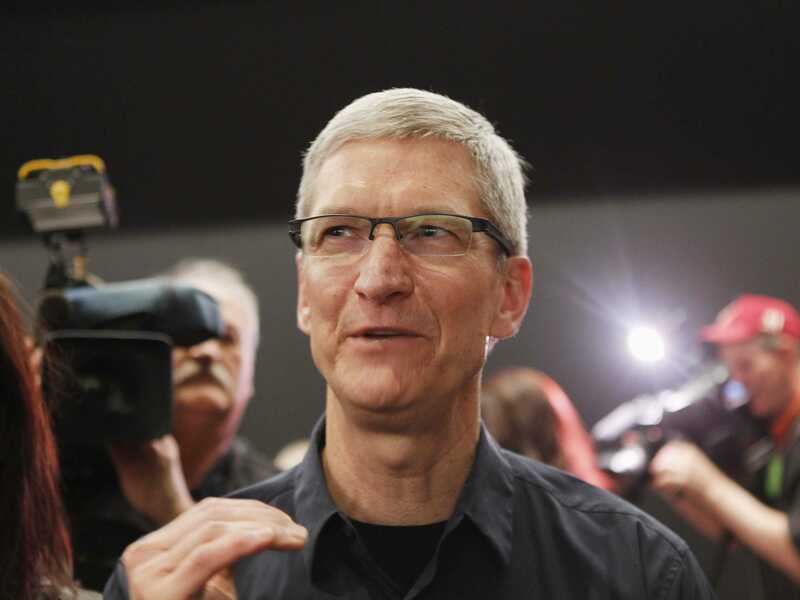 Here comes a crucial earnings report for Apple. On Tuesday afternoon, Apple will report its results for July, August, and September. It's Apple's fiscal Q4, also known as the September quarter. Investors want to see if Apple can continue growing its iPhone business after an explosion in sales over the past 12 months. If Apple whiffs, watch out below. Around this time in 2012, Apple entered a period of slow growth and the stock was cut in half. If Apple comes up short, there's a risk of something similar happening again. In 2014, Apple finally started selling a bigger iPhone. The iPhone 6 had a 4.7-inch screen, and the iPhone 6 Plus had a 5.5-inch screen. Prior to their release, the biggest iPhone had a 4-inch screen. 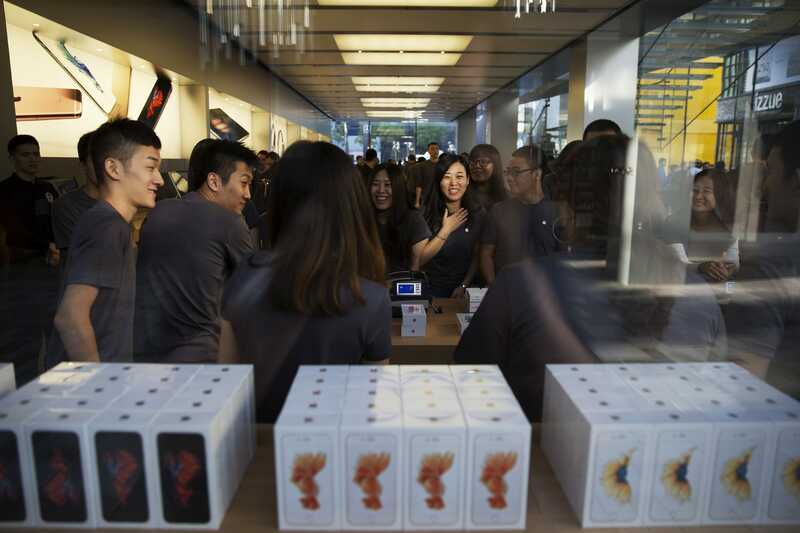 Consumers had lusted after a big-screen iPhone, and as soon as Apple delivered, sales soared. This took Apple's stock from $99 a share in October 2014 up to $133 in February 2015. But then, a twist: The stock went sideways trading around $133 until July, when shares started to fall. Today, it's at around $113. So what's going on here? It's always tough to explain investor decisions, but it comes down to two things: China and the iPhone. In fiscal Q1, sales in Greater China were up 70% year/year, compared to 30% for the company as a whole. In fiscal Q2, sales in Greater China were up 71% year/year, compared to 27% for the company as a whole. In fiscal Q3, sales in Greater China were up 112% year/year, compared to 33% for the company as a whole. But a lot has happened in China since Apple last reported results in China. Its stock market had an unexpected swoon. Its government started doing funky stuff like devaluing its currency, and cutting interest rates. Its GDP growth was at its lowest point in 25 years. On August 24, investors became panicked about China and started dumping Apple's shares. It got so bad that CEO Tim Cook took the unprecedented step of emailing CNBC's Jim Cramer just to let the world know that Apple was OK in China. Obviously I can't predict the future, but our performance so far this quarter is reassuring. Additionally, I continue to believe that China represents an unprecedented opportunity over the long term as LTE penetration is very low and most importantly the growth of the middle class over the next several years will be huge. The stock still fell to $103 that day, but it was better than it could have been. Since then, the stock has been on the rebound. It's nearly impossible to find a comparison for Apple's business in China to get a read on how Apple will perform. But Nike, which also has a strong brand in China, said it saw its sales up 30% in the June-to-August time frame. That was an acceleration from the prior quarter when sales were up 19%. So consumers in China still have disposable income for sneakers, which suggests they still have cash to spend on phones. Coincidentally, Cook is on the board of Nike. 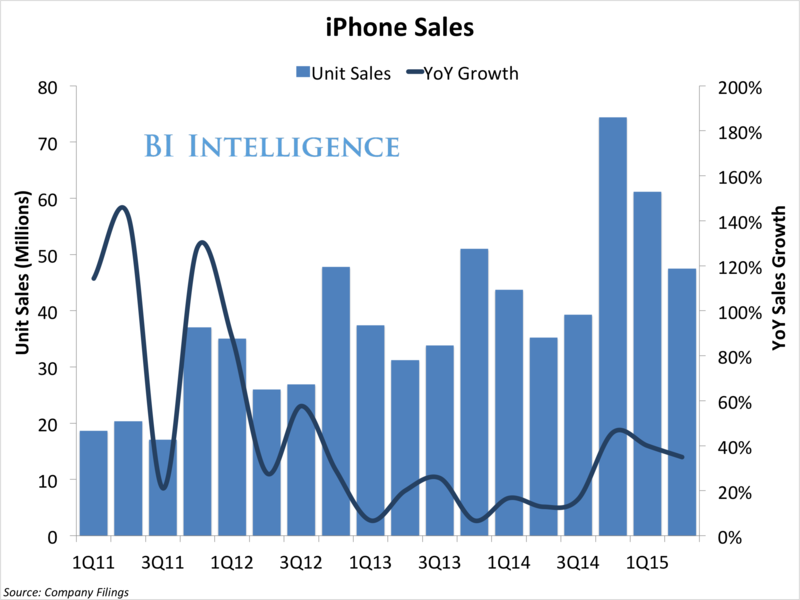 In addition to concerns about China, there is a looming worry about the iPhone business. Many investors are skeptical Apple can beat the mammoth iPhone sales numbers it posted in the past 12 months. "Based on conversations with 15 investors over the last week, we believe that expectations are for iPhones to be down slightly in the December quarter," said Piper Jaffray analyst Gene Munster in a research report. Apple is the iPhone company, and 63% of its revenue came from the iPhone last quarter. And while it doesn't break out profitability, an even greater percentage of the company's profits come from the iPhone. A slowdown in the iPhone is likely to lead to a slowdown in the company overall. Last quarter, Apple came up short against analyst expectations for iPhone sales. It sold 47.5 million units versus 48.8 million expected. That triggered a 7% drop in the stock despite the fact that Apple's overall revenue was better than expected. And, so, this is why investors are watching this quarter closely. They want to see if Apple will be able to keep the iPhone growing, and they want to see Apple's guidance for next quarter. If Apple whiffs on expectations, or delivers softer than expected guidance, the stock could crater. The silver lining for Apple this year compared to 2012, is that Apple has the Apple Watch, a new Apple TV, and the iPad Pro. In 2012, there were no new products to buoy Apple, and pundits were start to murmur that Apple couldn't innovate. That's less likely to happen this time. Here, in bold, are the numbers buy-side analysts are looking for, versus sell-side. 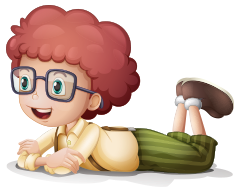 Buy-side people are the ones that actually buy the stock, so in some ways their numbers are more important. But when the numbers hit, everyone compares them to the sell-side, which the analysts you see on TV and quoted in the press. September revenue: $51-51.5 billion vs the Street's $51 billion, which would be up 21%. December quarter revenue guide: $74-77 billion vs the Street's $77 billion, which would be 3.2% growth.